Arthritis pain: Clearly it works wonders! – In November 2007 my husband was experiencing increasing pain in his neck and head. It is a pain he’s had before but on a much smaller level and very infrequently. We had many doctors visits, even hospitalized him a couple nights with continued testing. When a surgical neurologist finally examined all the MRI/CT scans, he determined the pain was caused by arthritis along his cervical spine and said it was not at all caused by the herniated cervical disc as others had believed may be the cause. With no solution but prescription pain medication and “neck exercises”, neither of which were helping, he began using BAC F2 and F3 gradually increasing dosage; starting January 2008. Just 10 days into using the products, we realized he had gone several days with no debilitating pain. This was a huge relief for him and me, because it “hurt” me to see him in such terrible pain and unable to work and function normally every day. I STRONGLY recommend this product to anyone suffering severe arthritis pains – clearly it works wonders. In this two parts series on BAC (Bio-Algae Concentrates) for Bones we suggest including BAC (aka BIOSUPERFOOD) as a complement to your regular diet in the support of bone, joint and muscle health, and in the prevention of conditions like Arthritis, Osteopenia, Osteoporosis, lack of mobility and much more. In our first article in this series, we mentioned that our bones form a framework of structural support and an anchor for our muscles. If you have not yet read Part I, take the time to read it at BAC for Bones Part I. This Part II article deals with the rest of the working mechanism that helps us to function in the context of everyday life. Cartilage, joints, muscles, and tendons form the major parts of the mechanical puzzle that helps to distinguish us and the rest of the animal kingdom from plants: our ability to move. 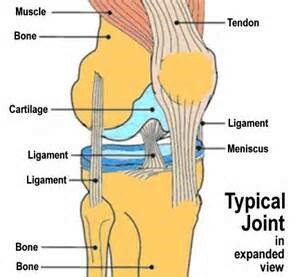 A joint is the connection between two bones. Joints and their surrounding structures allow you to bend your elbows, knees and back, turn your hips, shake your head, wave your fingers and wiggle your toes. 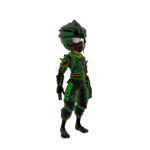 There are synovial joints and fibrous joints – synovial joints are those that enable movement. There are six types of synovial joints alone, distinguished mainly in terms of their types of movement. Here are just three of those six: hinge joints, as in elbows; ball -and-socket joints as in hips and shoulders; and compound joints like those of the knees. 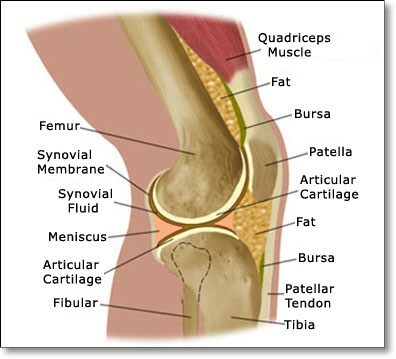 Synovial joints are surrounded by a thin covering called the synovial membrane, which releases a lubricating fluid into the joint – the synovial fluid. The ends of the bones are lined with slippery cartilage. These are all “design features” that cushion the joints so that the bones don’t rub or knock together. The whole structure is held together with muscles, tendons, and ligaments. Ligaments are tough and fibrous connective tissues that act as a strong binding material to fasten bones together at their joints. Tendons connect the ends of muscles to bones at various points, not exclusively at the joints. There are three types of muscle – skeletal, cardiac and smooth – and two types of muscle action – voluntary and involuntary. Skeletal muscles are voluntary – meaning that they contract upon command. These are the muscles used for movement and posture. The human body is truly a marvel, and we have just begun to scratch the surface of all those parts involved in keeping that marvelous body in motion. Alas, when aging, improper posture, injury, lack of use and/or undue stress come into play, it doesn’t take much to throw one or more of these moving pieces out of whack, causing pain, swelling and/or loss of mobility. Arthritis is a disease of the joints, characterized by deterioration and inflammation. There are roughly 100 different types of arthritis, currently affecting at least 40 million Americans. The most prevalent forms are Osteoarthritis (OA), Gout, Rheumatoid Arthritis (RA), and the spondyloarthropathies. These four types of arthritis account for nearly half of those affected. By the age of forty, most people have lost some of their vital life force. The cellular oxygenation potential and the many related metabolic functions in our bodies begin to slow down. The result is that we start to have what we call arthritis or another form of “-itis” or one of many other diseases: diabetes, thyroid deficiencies, hormonal imbalance, lupus, vitamin/mineral deficiencies, cancer, fibromyalgia, chronic fatigue syndrome…the list goes on and on. Regardless of the name by which we call it, all disease fundamentally stems from the gradual loss of our energy, our life force. Bio-Algae Concentrates (BAC), aka BIOSUPERFOOD, promote the restoration of the body’s vital life force by supplying the purest form of cellular energy we know of – perhaps the most complete food/fuel/energy on the planet – thus awakening the healing potential within each and every one of us. Osteoarthritis (OA) most often affects fingers, knees and hips, occurring in greater frequency in those over 40 years of age. Virtually everyone over the age of 60 is believed to have some form of OA, mild or otherwise. Symptoms of OA begin as the protective cartilage stiffens and starts to wear away, irritating the surrounding membrane. Fluid can accumulate, and ligaments and tendons cause pain as they are stretched. Bone spurs can form, causing grinding as the joint moves. The cause of OA is not fully understood, but repetitive hard use of a joint and/or trauma, injury or surgery can exacerbate the issue. Being over-weight significantly increases an individual’s chance in developing OA as additional weight puts extra stress on joints, the knees & hips in particular. Rheumatoid arthritis (RA) is a form of inflammatory arthritis and is an autoimmune disease that can affect every synovial joint in the body with often debilitating inflammation and disfigurement. RA tends to affect younger people, including children. Often brought on during times of physical or emotional stress, RA may also be associated with poor nutrition and/or bacterial infection. Gout is an acute form of inflammatory arthritis that is most prevalent in overweight people – primarily men. Also known as the rich man’s disease and the disease of kings, gout is common in those who indulge in rich foods regularly and/or use alcohol excessively. Ankylosing spondylitis and other rheumatic disorders in the category of spondyloarthropathies tend to affect all or parts of the spine. As always, the best way to deal with disease is to prevent it, so the best advice is to keep your body moving and maintain a healthy weight. Both are imperative to your joint health and overall well-being. Arthritis rates more than double in obese people when compared to those of a normal weight. Watch not only how much you eat but also WHAT you eat! Our distant hunter-gatherer ancestors were, on the whole, much more physically active than we are today, and they ate a diet that was rich in inflammation-reducing foods. Some of the worst offenders in terms of inflammation-causing foods are: sugar, alcohol, red meat, processed meats (sausages, lunchmeat, etc.) dairy, artificial food additives, trans fats, and refined grains. Although there are some indications that consuming meat and dairy products only from those animals that are more naturally raised (grass fed, free range, etc.) may cause less potential inflammatory damage, studies overall do show that consuming too much meat causes a build-up of acidity and inflammation in the body. We espouse a mostly plant-based diet. Consuming a balanced and wide variety of plant foods, including a rainbow of colorful fruits & vegetables plus beans, nuts & seeds and whole grains, can meet all of our nutritional requirements. Always try to eat as much organically/naturally grown food as feasible, since studies show that these have retained more of their healthful nutrients and disease-fighting characteristics. Plant foods offer many antioxidants helpful in reducing inflammatory diseases. There is, however, some evidence that plants in the nightshade family (eggplant, peppers, potatoes, tomatoes) may tend to exacerbate arthritis, so avoiding these or eating them in moderation is suggested. 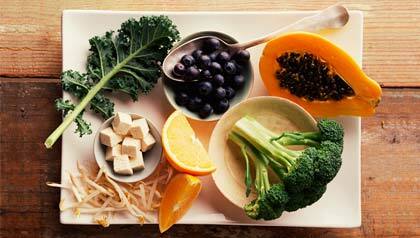 Some of the “good guys” – foods that are especially useful for fighting inflammation in the body – are: cruciferous vegetables, blueberries, garlic, turmeric, ginger, sweet potatoes, wild-caught Alaskan salmon, and – you guessed it – ALGAE, such as those found in the incomparable Bio-Algae Concentrates (BAC) formulas! BAC contains its own microscopic version of the rainbow, with varied pigments from the blue-green and red algae, chlorophyll, and abundant carotenoids. BAC also contains astaxanthin, a proven anti-inflammatory nutrient that is both gentle and highly effective, without the negative side effects of steroids and non-steroidal anti-inflammatory (NSAIDS) drugs. When Dr. Kiriac studied astaxanthin while formulating BAC, he discovered that when it was used on its own, its powerful healing effects were short-lived. On the other hand, when combined with other carotenoids and cofactor nutrients, the researchers found better overall results including in the prevention, stabilization, and remission of cancers. BAC is indeed much greater than the sum of its parts, and a powerful ally for health and mobility for EVERY BODY!